Behold the wildly fluttering freak flag that is Ohio. We are, in fact, extremists, and in more ways than on the baseball diamond. If you're attending baseball's Opening Day but not really attending Opening Day... were you there at all? Spring training baseball can relate a whole lot to life as the rest of us non-athletes know it in the workforce - sometimes not ready for what's next. Baseball's spring training... is life. Even if the games don't count in the win or loss column. Good morning, baseball. We missed you. Are you just reorganizing the closet over there, or are you actually making committed changes to how this team functions and thinks? The Cincinnati Reds broadcaster, Marty Brennaman, is retiring after over four decades in the Reds radio booth. This week I share some of my memories. At times baseball players, and athletes in general, aren't always viewed as people as much as they are viewed as something more akin to a line on a roster. As the Cincinnati Reds currently sit, we don't know if they are dead or alive - so to speak. But soon enough we will as the players available disappear. 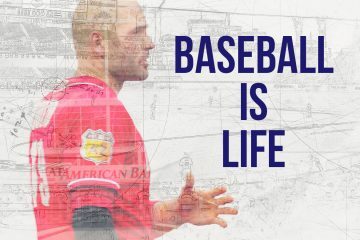 Baseball is life and at times, it's also what holds us together. That held true once again with the passing of former President George HW Bush.